Out of stock since Tuesday, 5 February 2019. Due back soon. Rockfish Walkabout boots are hand made to last guaranteed. The 4-way stretch Neoprene lining is fitted throughout the whole boot, keeping your feet warm on cold winter days. These particular Rockfish boots are based on hiking boot technology, ensuring a snug fit, whilst the sole is designed to provide extra grip on rugged terrain. Designed for all day wear, and winner of the independent review for wellies. 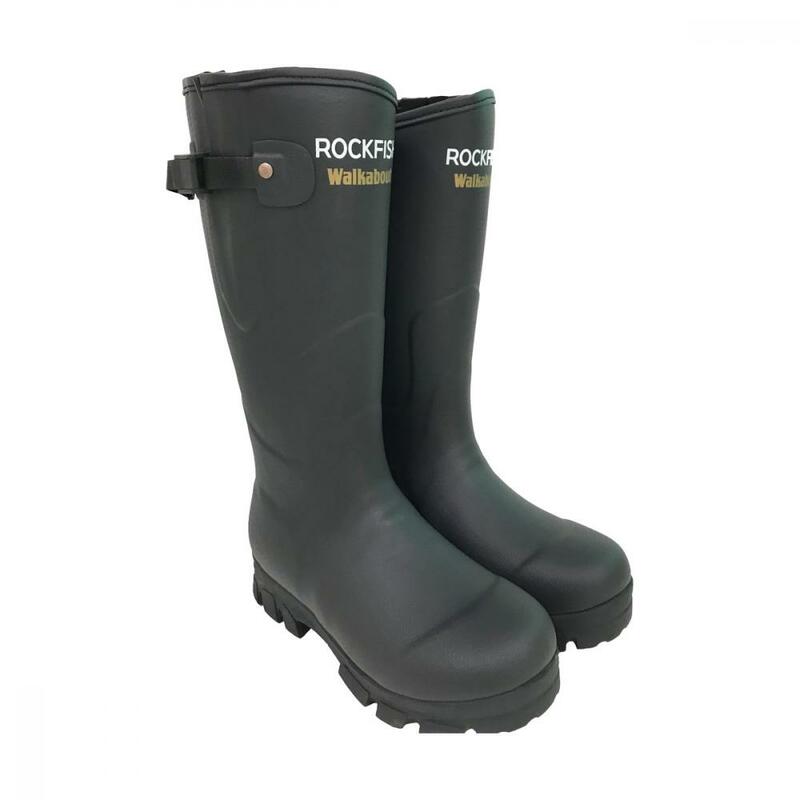 There are currently no questions for Rockfish Neoprene Lined Walkabout Wellington Boots - be the first to ask one!